Yes, lib media bias is just a myth. With the coverage of President Trump putting media bias on display as never before, an influential House chairman and longtime press critic has opened a campaign to call out the “mainstream media” for what he thinks it is. Smith, chairman of the House Science, Space and Technology Committee, has often been on the receiving end of the media’s anti-conservative bias, but he said the attacks on Trump have led him to urge colleagues to stop referring to the “mainstream” media. 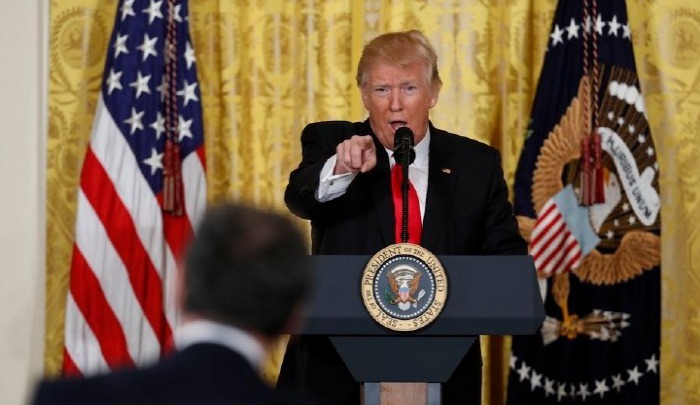 In an interview, he cited the media’s ills: 91 percent of Trump campaign coverage was negative, 96 percent of media campaign contributions went to Democrat Hillary Clinton, and 55 percent of the public is weary of the anti-Trump tone in coverage. “It’s the most biased media I’ve seen in my lifetime,” Smith said.